We are always looking for partners and sponsors who want to help us build a better marketplace in Nashville. If you are interested in Sponsoring Good Makers Market, email NashvilleChapter@se-alliance.org for more details! Red Bull is much more than an energy drink. Red Bull believes in the power of social enterprise, so much so that they developed an entire program to support social entrepreneurs. Red Bull’s Amaphiko is a global programme that champions social entrepreneurs as they drive positive change in their corner of the world by helping social entrepreneurs as they create innovative and sustainable change in their communities. Inspired by the Zulu word for ‘wings’, Red Bull Amaphiko gets social entrepreneurs vision off the ground through an integrated network of development tools, support structures, and storytelling know how. Founded by a team of Nashville entrepreneurs, Hytch is a smartphone application that is dedicated to pairing users together who have a similar commute so they can share the ride. Hytch gives you the tools to network within your company or neighborhood and social circles by swiping potential matches to set up peer to peer ridesharing. Users love a real time ride ETA, chat functionality with shared trip tracking, and having a suggested reimbursement between users. Whatever your path or vision, Belmont's Center for Entrepreneurship has the expertise, passion, and values to prepare you for your own entrepreneurial venture. If you are interested in starting your own business, would like to take your existing business to the next level, or are looking for special training for a start-up or family business, consider joining one of the fastest growing majors in the nation at one of the strongest programs available: Belmont University's Center for Entrepreneurship. The mission of the Pathway WBC is to provide a forum for training, education, and peer learning that supports and accelerates the growth of women owned business and strengthens their impact upon the economy. Pathways services include in-depth business counseling, classroom training, and peer-to-peer learning to help entrepreneurs start, expand, and successfully manage their businesses. They also provide assistance regarding access to capital, government procurement and contracting, import and export services, networking opportunities, and referrals to other resources throughout Tennessee. 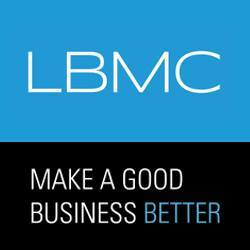 LBMC is the largest regional accounting and financial services family of companies based in Tennessee. Founded in 1984 as a traditional accounting firm LBMC’s mission is simple: to serve a great group of clients and enjoy doing it. More than 30 years later, loving what they do and who they do it for has taken them a long way, with LBMC being named a top 50 firm in the country. Today, they are industry leaders in financial, human resources, technology, information security, and wealth advisory services backed by more than 500 employees. LBMC is committed to attracting and retaining the nation’s best talent, positioning themselves to best serve clients with the industry’s brightest minds. or taking your in-person business online, with Weebly, entrepreneurs can build websites that customers love to visit and shop. Our powerful tools make it easy to build a professional, mobile-optimized site and grow your business with integrated marketing and advanced analytics. We also help you tackle the manual hassles of running a successful online store by simplifying shipping, taxes, and inventory management. Since Weebly is part of Square’s commerce offering, Weebly customers can easily sell in-person. With Weebly and Square, your business is always open. Lightning 100 is Nashville's premier independent radio station. They are also an advocate of local music, local businesses and nonprofits, sustainability, and social enterprise for more than 27 years! Lightning 100 is the city’s longest-running independently owned adult alternative radio station and was recently voted "Best Rock/Pop Station" in the Nashville Scene's Readers' Poll for the 16th year in a row. Lightning 100 continues to be a champion for all things Nashville including music, business, and sustainability. Center for Nonprofit Management works to create a connected community equipped to realize our greatest opportunities. CNM builds nonprofit capacity through consulting services, educational workshops and trainings, collective impact programming, networking opportunities, special events, member resources, and more. The Nashville Guides mission is to support Nashville businesses, makers, artists, and non-profits. With 100,000 Instagram followers TNG is your go-to for discovering all the best that Nashville has to offer. Their book, The Nashville Guide, is a great guide to experience local and their Nashville product line is the perfect way to represent our beautiful city. Not only do they feel passionate about supporting local businesses but they also feel very passionate about supporting locals in-need. That’s why they donate a proportion of all their sales to local non-profits. Currently they support local Nashville non-profit, The Little Pantry That Could. 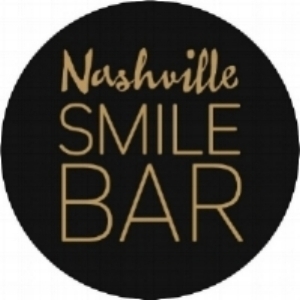 Nashville Smile Bar is not just a photo booth company; it’s so much more. The Nashville Smile Bar craft custom experiences and activations for weddings, corporate events, conferences, charity events, birthday parties, showers, graduations, and more! Not only do they want guests to leave with a special keepsake (both in digital and physical form), but they also make it fun for guests to engage with brands and businesses at events and share their experiences through their social platforms. Their high-energy, friendly, and engaging team is at the core of all of their services. Jr. CEO is a team of classroom educators, instructional curriculum designers, business experts, and entrepreneurs who have come together to build the next generation of great thinkers and a lineage of strong, entrepreneurial families. They are on a mission to light the fire of entrepreneurship in younger students. More and more studies are showing success with people as young as 6 and 7 starting business! They want to build generational wealth and generational bonds as well as build the same business together or both build something separately. Jr CEO is dedicated to the mission of showing a young person that their goals matter and that they are important! Created and supported by the community, The Nashville Entrepreneur Center (EC) is a 501(c)(3) not-for-profit organization with a mission to connect entrepreneurs to critical resources to create, launch and grow businesses. Originally a vision of the Partnership 2010 initiatives of the Nashville Chamber of Commerce, the EC began in 2007 with the mission of raising the quality of resources available to Nashville’s entrepreneurial and small business communities. The EC represents a partnership of local and state government support, private interests and the Nashville business community at-large. Nashville's movers and shakers gather here every day to turn ideas into reality.